Just a few days ago, the US House of Representatives passed HR 158, which would remove from the US's visa waiver program non-US citizens who visit or hold dual citizenship with countries known for terrorism or connections to ISIS (Syria, Iran, Iraq and Sudan were named). Now, Iran's FARS News is reporting that it won't happen without European approval (Hat Tip: Steve B). "The Commission is currently examining the measures announced by the Obama Administration as well as proposals presented in the Congress to enhance the Visa Waiver Program," the source told FNA. Noting that the meetings are taking place at all appropriate levels in Brussels and Washington DC on the issue, the source said, "The Commission will continue these discussions with the US authorities in the days to come and will also contact the EU Member States." "We are confident that the US, as a strategic partner, will decide in consultation with the EU on the way forward," the source underlined. 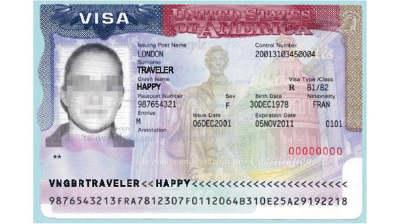 As it currently stands, the Visa Waiver Program (VWP) allows citizens of 38 countries — namely European states, Australia, Japan and South Korea — to travel to the United States without having to obtain a visa. However, the US House of Representatives passed a bill (H. R. 158) on Dec. 8 that aims to exclude from this program all dual nationals from Iran, Iraq, Syria and Sudan, and anyone else who has traveled to those countries in the past five years. The EU has a history of opposing such measures, which it perceives as the "politicization of trade," within the framework of the WTO. Indeed, in 1997, EU countries threatened formal counteraction in this forum over the Iran Libya Sanctions Act (ILSA), which later resulted in a decision by the Clinton administration to waive ILSA sanctions on the first project determined to be in violation. The European Union expects that the Obama administration will surrender control of the United States' borders to its whims - and it is highly likely that Obama will try to do that. We need to completely back off and let the Dems and Obama own this disaster on their own terms. Whatever happens it's on them. Don't resist - just let it unravel on its own. After the 2nd or 3rd bus bombing maybe liberals will wake up by probably not. In either case let them defend it on TV. The standard MSNBC response to things like this are "Well what is YOUR plan?" like a sneering 10 year old. But most Americans recognize that for what it is. And the ones that don't, I hope they're on those exploding buses.